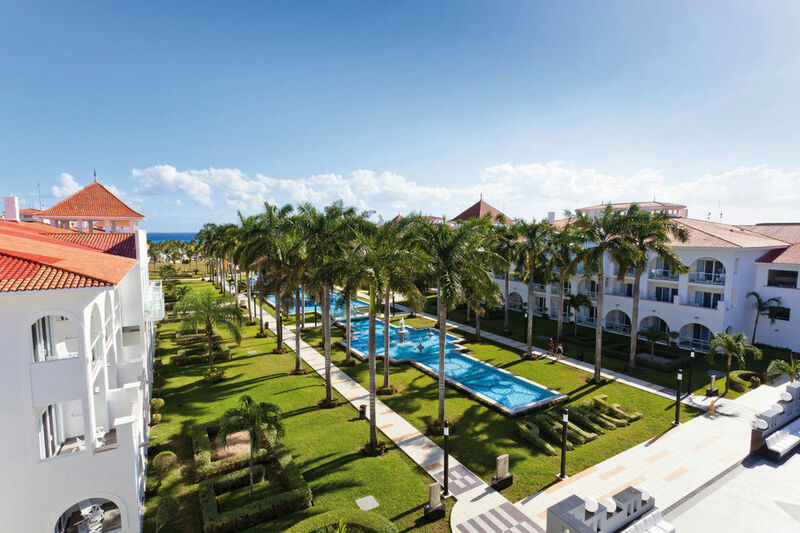 The air-conditioned suites at Riu Palace Mexico include furnished balconies or patios, sitting areas with sofas, flat-screen TVs, satellite TV with U.S. channels, and minibars and liquor dispensers that are regularly restocked. 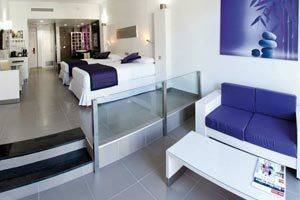 The Junior Suites at the Hotel Riu Palace Mexico are perfectly equipped to offer you an unforgettable stay. 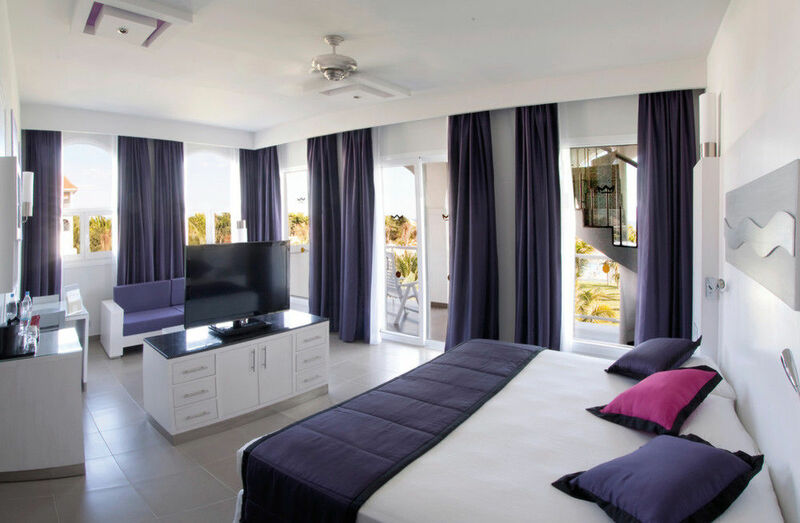 These 39-m2 rooms have two small double beds (125x200 cm) or one super king-size bed (200x200 cm), a sofa or sofa bed in the lounge area, a hydromassage bathtub, WiFi, satellite TV, air conditioning, a minibar and beverage dispenser, and a balcony or terrace with views of the hotel surroundings. If you want to enjoy a holiday with the best services and amenities, the Jacuzzi Suites at the Hotel Riu Palace Mexico are the perfect option. In these 47-m2 rooms, you'll find one super king-size bed (200x200 cm), a sofa in the lounge area, a hydromassage bathtub, WiFi, satellite TV, air conditioning, and a minibar and beverage dispenser. Plus, you’ll find a jacuzzi on the terrace so you can completely relax. 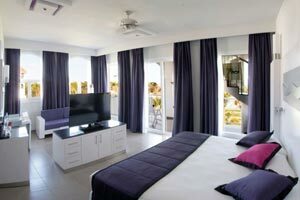 The Superior Junior Suites are designed to afford you maximum comfort during your holiday. 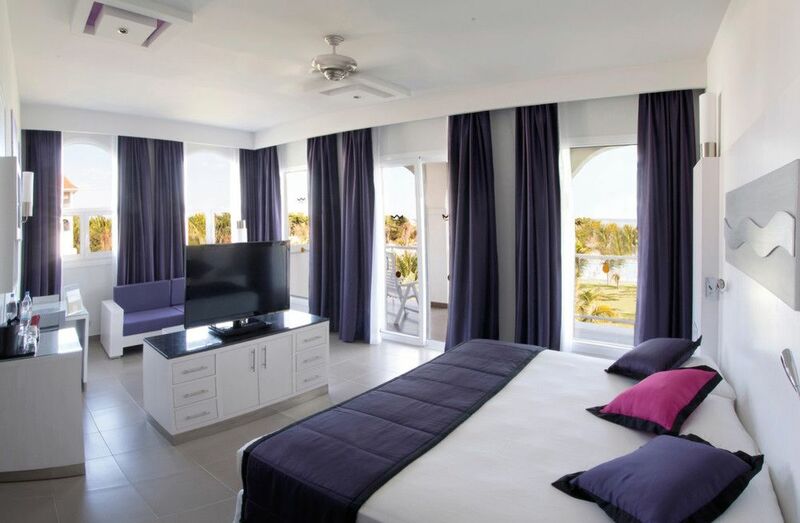 In these 39-m2 rooms at the Hotel Riu Palace Mexico you'll find two small double beds (125x200 cm) or one super king-size bed (200x200 cm), a sofa or sofa bed in the lounge area, a hydromassage bathtub, WiFi, satellite TV, air conditioning, a minibar and beverage dispenser, and a balcony or terrace with views of the hotel facilities. 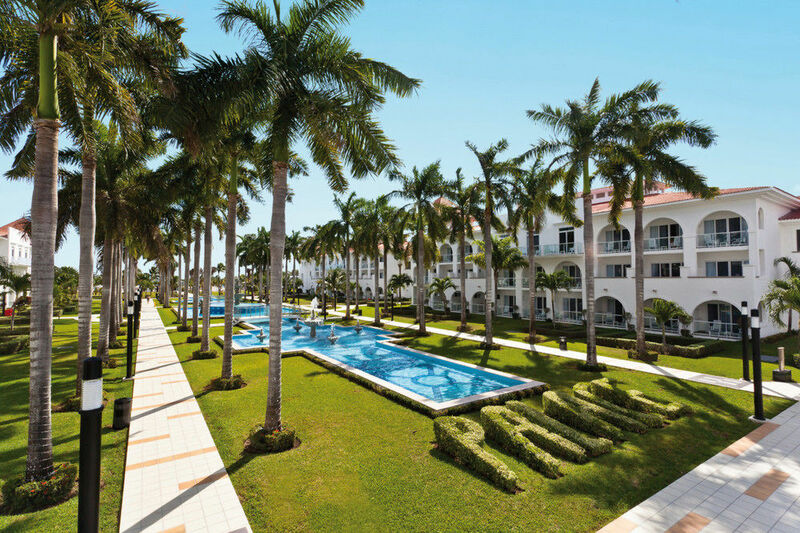 The Suites at the Hotel Riu Palace Mexico are specially designed for you to enjoy your getaway. These 47-m2 rooms have a super king-size bed (200x200 cm), a sofa in the lounge area, a hydromassage bathtub, WiFi, satellite TV, air conditioning, and a minibar and beverage dispenser. Plus, you'll have a balcony or terrace for enjoying the hotel surroundings.